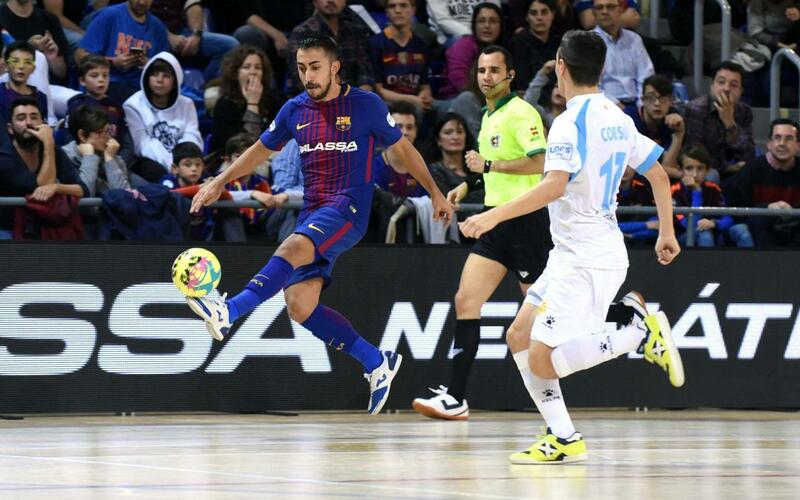 FC Barcelona Lassa's futsal team began 2018 with a draw in the Catalan derby against Catgas Energia Santa Coloma (2-2). There were many chances to win the match, especially from Barça who had three shots against the post and bar, but luck ultimately deserted them on the night. David Álvarez opened the scoring for the visitors almost immediately (0-1, min 1), silencing the 3,397 spectators. Pressure from the hosts soon began to tell however, Tolrà getting on the end of a pass by Joselito (1-1, min 7). Barça Lassa kept surging forward but just before the break they were hit on the counter attack, Pablo del Moral finishing off an assist from Ximbinha (1-2, min 19). Despite going behind, Barça didn’t give up and continued to push back their opponents. The visitors’ strong defence held firm until Ferrao was able to get free (2-2, min 33), but Dyego’s shot against the crossbar (min 37) was the nearest anyone came to scoring a winner.